You’re locked in a room with your greatest fear. Describe what’s in the room. I don’t know if I am going to live or die today. It is so dark but the air is so heavy. Wait…I can feel that black spirit flying around my head again. I hate this room. Stop it! I can’t believe I am back here again. I told myself I was never going to come here again. I am locked in a room with my PAIN. There are too many hurts, too many betrayals, too many “incidents”. Is what is left over, when you have survived abuse. When we live with Judas, in our not-quiet house. To you he shows smiles, not a worry or care. But we live with a traitor, all behind closed doors. But the darkness come out when you’re not around. Yelling and screaming, the insults abound. His excuses are endless, he pulls them out of a hat. As he smiles to the world, but throws things in your face. As he destroys all your things in front of you and the kids. We cry out to God, Lord get me out of this place. The Devil’s alive and he lives in your house. Dear Lord, You know all things and see all things. We know that You have NOT given us a spirit of fear, but of love, and power, and a sound mind. We aks You to shine Your light in the darkness, send your Angels to minister to anyone bound by fear. Renew our minds as we ready Your Word. We know that your Word will accomplish that which You have set it out to do. Deliver us Lord, for we acknowledge Your Name. Lead us out of the darkness and into the marvelous light. 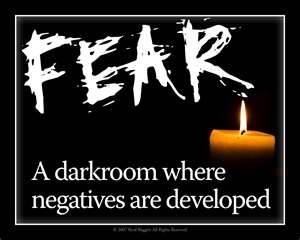 Let Your light overpower any darkness and fear, in Jesus name. Posted in Daily Post, Uncategorized and tagged Daily Prompt, Domestic Violence, God, Recovery. Bookmark the permalink. Thank you for the pingback! I am so thankful that the Lord delivered you from your pain… Father, in Jesus’ name, I cry out for my sister, and I ask You to make the darkness light. I ask that You would cover her and her children with Your strong arm of protection, and that You would deliver each one of them from any residue of fear, bitterness and anger that may have latched onto them. In Jesus’ mighty name, I loose Your truth and life over Diana and her children, so that they may walk in the fullness of Your joy and peace and I give You praise, Daddy, for the work You’ve already done in each of their lives, and for the work that You will continue to perfect until You return again. In Jesus’ wonderful name I pray, amen. Thank you Cheryl, I receive it, in Jesus name. It was very weird reading through my old journals, that seems like a lifetime ago. It only took 10 years for me to share about it…God is so good, I am amazed how He rescues us from all our fears and enemies. Set all your prisoners free Lord!